If you manage a construction site, warehouse, factory or plant, you are directly responsible for the safety of the people at the site, which means you're under a lot of pressure to make sure you've taken every step at your disposal to prevent accidents. One of the easiest ways to reduce vulnerabilities is to secure your worksite. Here's why you should. 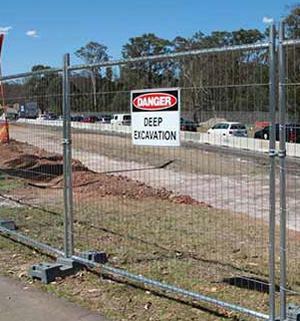 An unsecured worksite is as good as an invitation to would-be criminals. Expensive scrap metal, equipment and other valuables may be exposed if you haven't considered site security. Once intruders are on your property, they can create unsafe situations unintentionally by moving or removing essential equipment. They also put themselves at risk, since they are less likely to know the worksite and aren't paying attention to safety protocol (and yes, you can still be liable for accidents on your property even if an intruder isn't supposed to be there). By hiring paid security guards to watch the site during off hours, you can reduce the chances that you will be the victim of such an incident. Additionally, installing fencing around the site can block the view into the worksite, obscuring valuables and discouraging theft. Though your worksite may not have valuables to steal, you could still be at risk for intrusion. Even seemingly inaccessible sites may be visited by unsupervised children or bored, risk-seeking teenagers. Even though they may not want to steal from your site or vandalize equipment, they are potentially endangering themselves by putting themselves in risky situations (climbing on equipment, ascending catwalks or ladders, entering high-voltage areas, etc.). Once an unauthorized individual is on your worksite, he or she may have access to sensitive equipment or areas which, if tampered with, could create an unsafe situation. This may be through intentional vandalism or unintentional modification. By securing your worksite, you can reduce the risk that your equipment has been altered or damaged, thereby decreasing the danger that one of your employees is injured by an unexpected change to the equipment. Hiring security is a good idea for both off hours and working hours. It may be cost-prohibitive for smaller worksites, but dedicated security can help ensure that you have professionals who are able to subdue violent people or defuse conflicts. You don't want to have bystanders be responsible for dealing with a violent situation if you can help it. This could also be relevant for both distressed employees and unwelcome or unruly visitors. It is always better to be safe than sorry. As mentioned previously, an organization has a responsibility to prevent accidents by removing unsafe situations. Securing a worksite is one way to do this. Your responsibility can become a liability in the event of a preventable accident, which can mean financial losses in court on top of the harm that could befall people at your site. A settlement or award of damages could be devastatingly expensive, especially for a small to mid-sized company. Don't get caught off-guard. Make sure you've done a thorough risk assessment of your worksite and considered every potential hazard when securing your location. Alexander Wise writes for National Temporary Fencing about issues relating to risk management and site security.